I rarely watch Men’s tennis. I find Women’s tennis far more interesting and unpredictable. That was until this week. 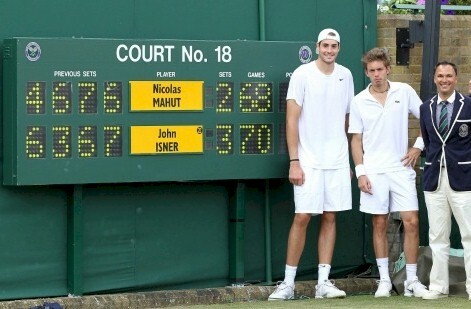 For three days I watched one match between John Isner and Nicolas Mahut. It was an 11 hour marathon of numbing activity pushing both the patience and limits of the human body and psyche. It was the best feat in any sports event I have ever witnessed. When all was said and done, Isner was the winner, 6-4, 3-6, 6-7 (7), 7-6 (3), 70-68, in the longest match in tennis history. When Isner won the final point, he and Mahut had played 980 points and all either of them could do was to drop to their knees in utter relief. You are currently browsing the archives for the John Isner category.